New York Distilling Dorothy Parker American Gin is a popular Craft Gin available from DrinkSupermarket.com in 70cl to buy online. Visit DrinkSupermarket.com for the best price for 70cl of New York Distilling Dorothy Parker American Gin or compare prices on our other Craft Gin products. Floral (the hibiscus petals shine), but with robust juniper and supporting citrus, elderberry and cinnamon notes. Each botanical plays a vital part in a unified and delicious whole. Brooklyn once had a thriving distilling (and drinking) culture and New York Distilling are doing their part to revive this with a range of gins designed for cocktails.Dorothy Parker loved her Martinis and you will too with this beautifully floral gin. Where to buy New York Distilling Dorothy Parker American Gin ? New York Distilling Dorothy Parker American Gin Supermarkets & Stockists. 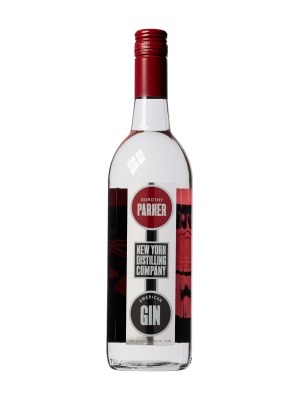 You can buy New York Distilling Dorothy Parker American Gin online in most retailers and find it in the Craft Gin aisle in supermarkets but we found the best deals online for New York Distilling Dorothy Parker American Gin in DrinkSupermarket.com, Amazon.co.uk, and others. Compare the current price of New York Distilling Dorothy Parker American Gin in 70cl size in the table of offers below. Simply click on the button to order New York Distilling Dorothy Parker American Gin online now.